You can’t get better tubes than these for the price. In stock and ready to ship! SKU: n/a. Categories: Mesa Boogie, Pedals & Accessories. 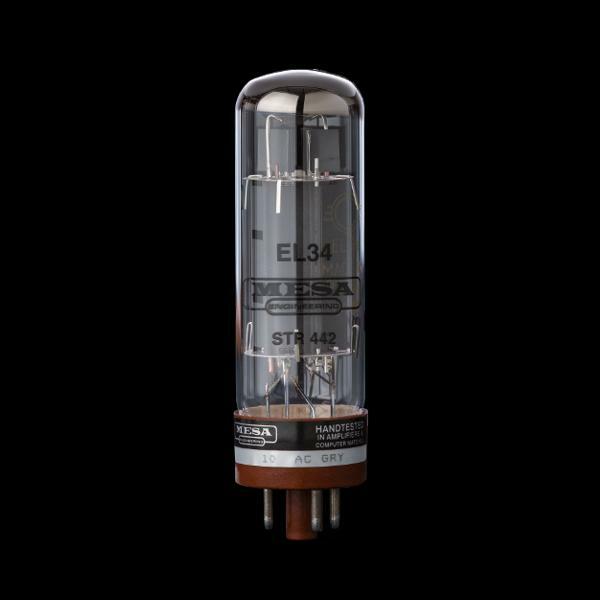 The NOS Winged C (SED) EL34/6CA7 tubes offer fantastic performance when driven to overload conditions. They provide ample clean headroom with a smooth transition into breakup. Expect from these tubes sweet harmonic content, a nice shimmering top end with smooth mids and a rich, focused low end. Made by SED (Svetlana Electron Distributors), the original “Svetlana”, in St. Petersburg, Russia, these tubes are no longer in production. They are sold in matched pairs. Supplies are limited and all orders are subject to final availability. The NOS Winged C (SED) EL34/6CA7 tubes are an exceptional upgrade for our Triple Crown TC-100 or TC-50, or any of our amps with EL-34 Bias Switches. Using these tubes is a fantastic way to explore new tonal possibilities.impart additional vintage flavor and flare with your amp.